If your home is plagued by mice or rats, the presences of these pests isn’t the only nuisance — so is the cleanup. After all, there’s a very real health concern when it comes to rodent infestations and the messes they leave around your home. While rare, hantaviruses (more commonly known as HPS) can be spread by certain types of mice and rats. Because humans contract HPS by breathing in the virus, urine and droppings and nesting areas can cause the disease to spread. Bites from these rodents might also spread HPS from rodent to human. In addition to HPS, which is rare but has occurred in every state in the contiguous United States, being around rat droppings and urine is just plain gross. So, how do you clean effectively and safely if your house had a pest problem? Check out these tips from our pest control company in Modesto to learn more. Not any old household cleaning solution will do when it comes to pests. Instead, it’s imperative that you use a disinfectant. If you prefer, you could make your own disinfectant by mixing 1 1/2 cups bleach with 1 gallon of water. Spraying the areas are most effective — you want to make sure the affected area is completely wet with the solution. Let soak for at least five minutes. Then, use a paper towel or other disposable cleaning item to dry the surface. Be sure to use cleaning gloves and a facemask so you’re not as exposed to potentially harmful rat droppings and strong household chemicals. If you have to pick up a dead mouse or have touched rat droppings and urine as you clean, make sure to sanitize your rubber gloves as well. Either wash them with a disinfectant or with a homemade bleach spray before taking them off. After taking them off, still be sure to wash your hands with warm water and soap. You can never be too careful when it comes to cleaning up pest-contaminated items. 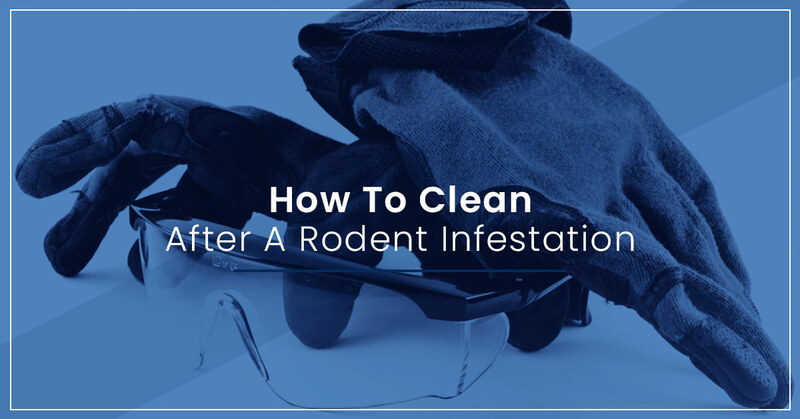 Once you’ve sanitized areas of infestation — including anywhere you’ve found rodents or think they might be nesting — it’s important to make sure they never come back. As the Top Rated Local® pest control company in Modesto, Pentecost Pest Control is here to help you keep your home safe and pest-free. If you have or have recently had a pest infestation, call us today. We can trap, seal, and even clean up after rodents, so you don’t have to. Our cleaning process involves fully sanitizing or removing rodent nests, feces, scent, insulation, odor, and bacteria. Contact us today for pest control services in Modesto!